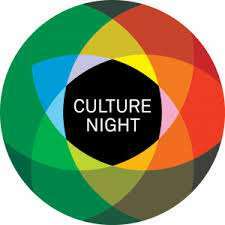 The National Science and Ecclesiology Museum will join hundreds of cultural institutions around Ireland taking part in Culture Night 2015. The Museum will open from 7.00 pm until 10.00 pm on Friday, 18th September and from 2.00 pm until 6.00 pm on Sunday, 20th September as part of the annual Culture Night celebrations. The Museum has the largest collection of scientific instruments on public display in Ireland, many of which were manufactured in Ireland in the period 1880-1920. It also houses an important collection of ecclesiastical artefacts including religious vestments, crosses, and altar stones. Heritage Week at the National Museum of Science and Ecclesiology! Come and view the largest collection of scientific instruments on public display in Ireland! The Museum was established by St. Patrick’s College, Maynooth in 1934 by a resolution of the Trustees. Today the Museum houses not only many beautiful ecclesiastical objects but also several scientific artefacts. The Museum houses the largest collection of scientific instrumentation on public view in Ireland.